IHTI will be coming to Washington, D.C. on November 3rd, 2007 to conduct private consultations for individuals who are considering hair transplant. I am thinking about attending this session. Have other people found these to be helpful? » private consultations for individuals who are considering hair transplant. » 10:00 AM until 5:30 PM. » » 10:00 AM until 5:30 PM. I am currently in the NY area but I hope to get one in Chicago. I saw a guy back in 05’ but I would like another to see how I’ve progressed. The first consultation was great so I hope I am ready to get some work now. will anyone ever come to athens? IHTI is interested in visiting Athens. We are occasionally asked why we travel to other locations to perform consultations. The bottom line is convenience and comfort for our current or prospective patients. Meeting a patient in or near their home town is more convenient for them. Local consultations reduce the time and expense required on patients part to meet with our staff. Our patients really appreciate the service. I am not a Doctor. 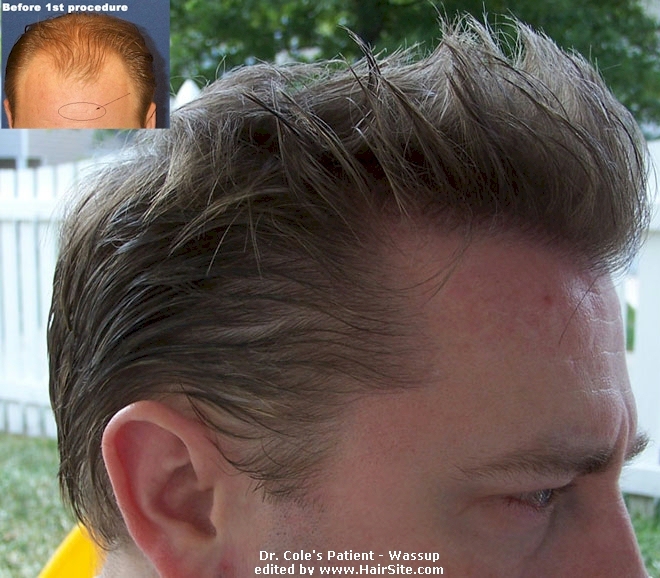 I am a Hair Transplant Practice Manager and licensed nurse, experienced surgical technician. Great we will plan to see you there. » Great we will plan to see you there. » nurse, experienced surgical technician. After recently opening the 1st of December for consultations in Chicago, we are expecting to have more attendees to arrive on these appointed dates. In anticipation of eventful days, we will also conduct Chicago consultations on the 2nd of December as well so you are very welcome to join us ForHair discussion. These consultations are extremely informative and are valuable for any individual who wants to be a prospective patient. Please remember that our Atlanta office is also available during the week so call to setup your no fee consultation before 2008! This end of year tour includes: New York, New Jersey, Los Angeles, and Chicago. We are also coming to Europe soon!! !